Watch a video made during the camp by Jonny Hooton, and read the report by Chloe Cracknell. Once again the mix of coaches/helpers proved very successful and I offer thanks to all concerned on the juniors’ behalf for all the work that was done to ensure a successful week. The experience of the senior coaches and enthusiasm of the younger ones ensured that logistics went smoothly and exercises were ready when athletes arrived at the areas. 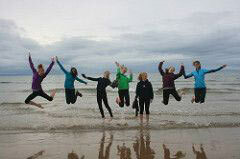 Part of the work at Lagganlia is to develop coaching experience for all. This year the Camp followed the level 2 coaching course held at Lagganlia the previous week. Six of the attending coaches joined us for the Lagganlia camp to put into practice some of their learning from the course and build up coaching experience in the presence of other coaches. Michael Adams was unable to attend the course but joined the team again to build on his experience from last year. Katie Wright and Helen Ockenden also joined the forest team for the first time this year and would be welcome again. Both showed an excellent aptitude for coaching and should be encouraged to attend more tours in the future. The athletes had a wider level of ability/experience but the level of staffing enabled all to have relevant input from the coaching team. 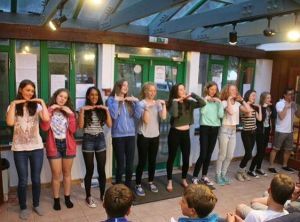 There were some creditable results at the following Scottish 6 Days, particularly in M14 where there was a very strong contingent from Scandinavia, Switzerland and Austria. 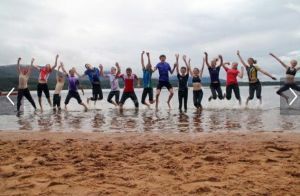 A week at Lagganlia did much to improve confidence and many of the junior’s results showed a significant step up in performance. The boys were not as mature this year and the girls more mature than usual which caused some friction, but they quickly found a happy compromise. Organisation of transport arrangements to and from Lagganlia was left up to parents. Athletes were met at Aviemore station and transferred to Lagganlia by minibus. It was requested that as many athletes as possible arrived on the 17.28 train at Aviemore to enable better use of the time on Saturday evening. This worked reasonably well but a couple of athletes had delayed arrivals returning from O Ringen. Going home was very easy this year. All except one athlete was going on to WOC and the 6 Days so they were dropped off at the event centre before the minibuses were returned on Saturday morning. Marie and Hazel continued with the high standard of catering that they produced last year. The quality of meals produced was excellent and empty plates spoke for themselves. It isn’t easy to ensure that the athletes and coaches are well fed and able to make the most of the days out in the forest so Marie and Hazel have our gratitude for their hard work in keeping us well fed and watered. Not having to worry about the catering side made my job easier so special thanks to Marie and Hazel on my part. Next year it was proposed that we do away with the barbeque on the Wednesday evening. It is popular with some of the athletes but many would prefer a normal meal. Marie was happy with the suggestion and it would make organisation simpler. 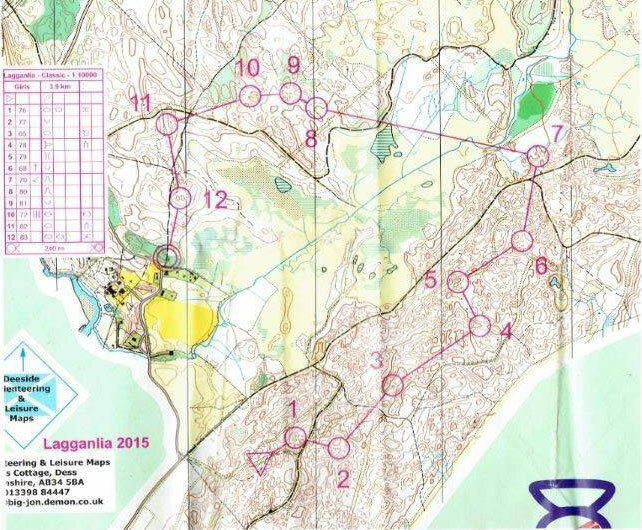 Maps were sponsored and printed on waterproof paper by BML Printers Ltd. No courier problems this year. Sunday, AM; Uath Lochan. Compass work and pacing. Warm up routines. Star relay. Sunday, PM; Inshriach, chequerboard area. Fine orienteering, control descriptions and visualisation in the circle. Distraction. Monday, PM; North Granish. 3 person relay. Tuesday, all day. Roseisle. Contour Day. Simplification, contours as attack points and catching features. Longer legs. Warm up routines. Odds and evens relay. 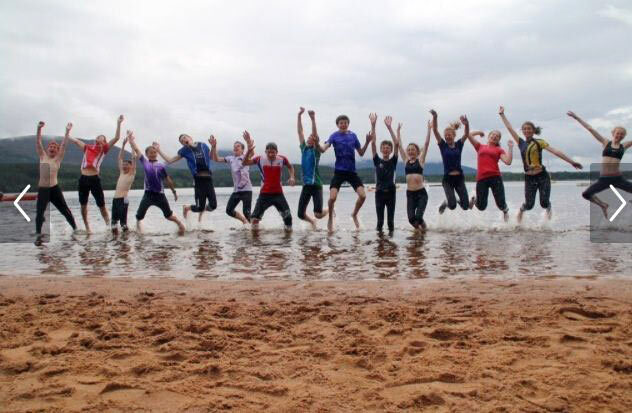 Wednesday – PM/evening; The Rings (Badaguish), Swimming (Loch Morlich), Shops (Aviemore), Bar-B-Que (Lagganlia). Thursday AM; Grantown. Athlete centred coaching. Two planned loops, coaches decide on skill/technique focus for athletes in their group. Encourage Talk O.
Friday, PM: Lagganlia Fun relays. This year we continued with the First Aid clinic. After training each day anyone with an injury, or who had first aid administered during the day, had to report to Karen and Wendy to ensure all details were recorded and appropriate follow up taken. Next morning all who had attended the evening clinic had to see Karen and Wendy between 8-15 and 8-30 for any treatment, e.g. blister covering, and to get the OK for training that day. Group coaches were informed of any concerns. I was so happy to get selected for this year’s Lagganlia training camp. The train journey was very long but I had a great time getting to know some of the boys. When we arrived at Aviemore it was a true Scottish day as it was raining! After arriving at Lagganlia and finding out that I was sharing a room with Rachel Collins the girls got to know each other while watching a bit of CBeebies! After dinner we all got to know each other playing fun games with Brenda and Brian Bear. After everyone being a bit quiet to begin with we ended the day with a mega pillow fight. On Sunday morning we went to Uath Lochans. One of the coaches started by showing us a proper orienteering warm-up, then after this we did 100m pacing on track and terrain. We got into our training groups and were set different exercises by our coaches. I was in a group with Meg, Luke and Thomas. First of all I worked on bearings walking round with Tony Carlyle. We took it slowly and I learnt that I tend to go a little to the right but now that I have learnt this I know what to do to correct it. After this I went round on my own practising aiming off which I felt quite confident about. After lunch we did a relay and I was in a team with Anika and Dom – which was really fun! We were able to put into practice what we had learnt in the morning. 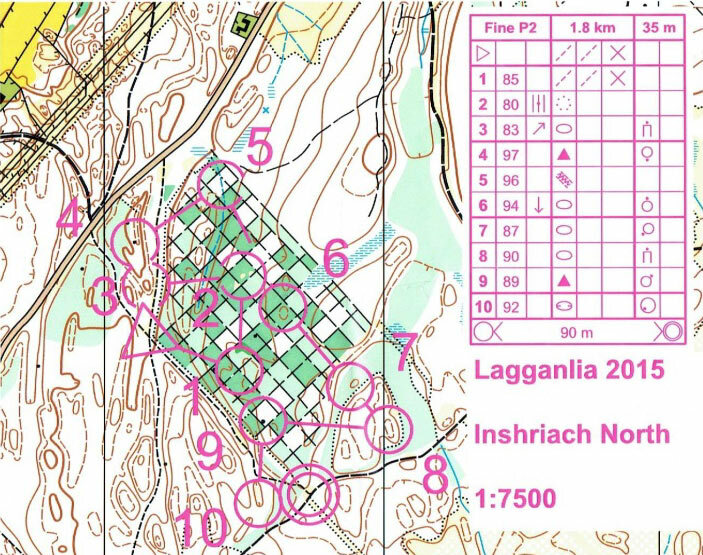 We then went to Inshriach, near Lagganlia where we did a checkerboard. There were coaches out on the course trying to distract us. This exercise was meant to help us keep our concentration and contact with our map at all times. We started the day by walking through a map looking at contour details and relocation. We were then set different courses to practice. In the afternoon we went to North Granish where we were put into teams for a relay. I was in a team with Eilidh and Catherine. My first run went well but unfortunately I had a bit of a problem with one of the controls on my second run – it gave me some good practice at relocation though! When we got back to Lagganlia we did four mazes where we were working on control flow. I came 2nd in one of them and was very happy. 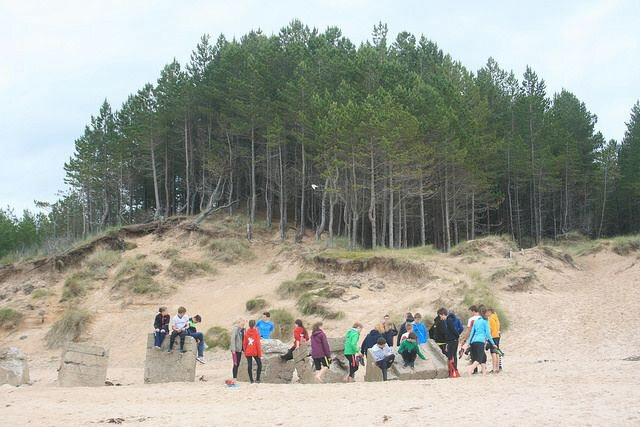 We spent the day working on the sand dunes at Roseisle, which was really fun. I had only run on sand dunes once so this was an excellent experience for me. We were working on catching features and attack points which I felt comfortable with but in a terrain I wasn’t used to. We also worked on simplification where my coach, Zoe, gave me my map to look at and I picked out three features on the way to my next control. She then took the map away from me and I had to find the control. It got easier with practice. In the afternoon there was a relay but unfortunately I didn’t do this as I was told to rest my foot. Today we went to the Moor of Alvie for a middle distance race. We had a silent start, which was useful, as it was good competition practice. The course had a butterfly loop in it and it was great to practice what we had learnt during the week so far. Apart from a problem with one control, I was really happy with my run. We then went to Badaguish where we had a course with a double-sided map. This was a sprint-style race where we worked on quick thinking and good control flow. Again I was happy with my run although looking at my map afterwards there were a couple of route choices which could have been better. As a bit of fun we went on the rings and I was absolutely rubbish but I did enjoy myself. Afterwards we went to a Loch where we all had a great time swimming. Meg and I were partnered up at Grantown-on-Spey to do Talk-O. We took it in turns leading each other to the next control by describing the features on the map so we could work out where we had to go. After that it was time for the peg relay. 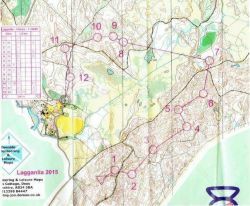 Today was the classic race which took place at Lagganlia. I had a bit of trouble with control 2 but I soon learnt from my mistake and using some of the new techniques I had learnt during the week navigated the rest of the course well which I was pleased about because it was a green standard course. It was really helpful speaking to the others and comparing route choices afterwards. As a bit of fun we did a relay which had a bit of a twist as you had to carry a balloon round with you. On the last night we had our awards evening and I was awarded the ‘Yellow Submarine Award’ this was because I was so terrible at the rings. 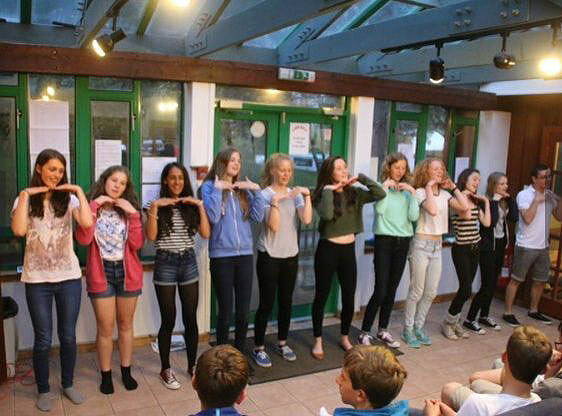 This was followed by Lagganlia’s Got Talent where the girls were definitely the best! I really enjoyed my week at Lagganlia and am extremely grateful to all the coaches for everything I learnt. I made lots of new friends, learnt lots of new skills and was then able to start putting them into practice at the Scottish 6 Days the following week! Overall, the camp was an incredible experience, really enjoyable and rewarding – proved by the fact that Lagganlia athletes outperformed other Brits massively at the Scottish 6 Days. It was great to get to know everyone and a really good platform to go on and achieve greater things and attend GB camps at a higher level in the future. 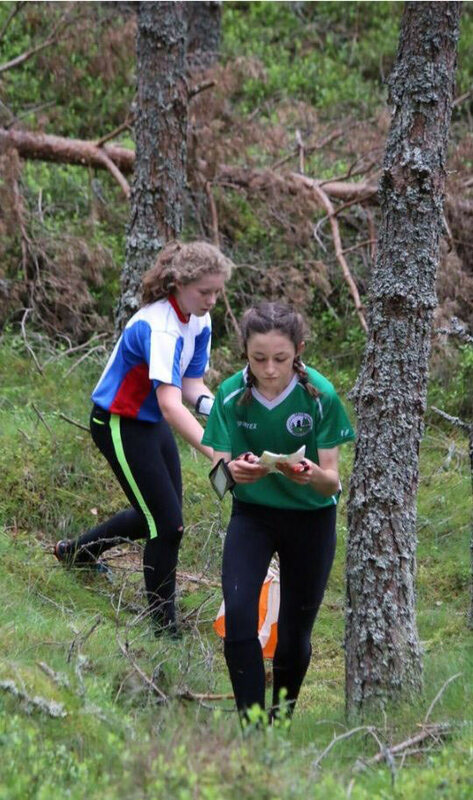 So thanks to SCOA for the donation and I would recommend this camp to any young orienteers with a love for the sport and a bit of determination! 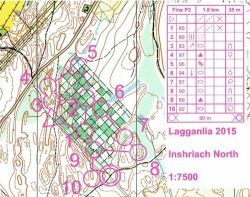 The week I had training at Lagganlia was the best orienteering training I have ever had and provided plenty of fitness and terrain running as well. The skill I found helped me the most was using contours as attack points and catching features. 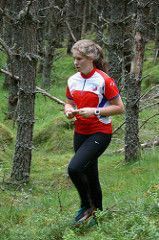 This was a technique I put to very good use over the Scottish Six Days of orienteering the following week. Nominations must be received by the Chair of JROS Selectors by 12th May 2015.